High energy slow sinking diet which is easily digested to reduce waste in your aquarium. Nano mouths need nano feeds. 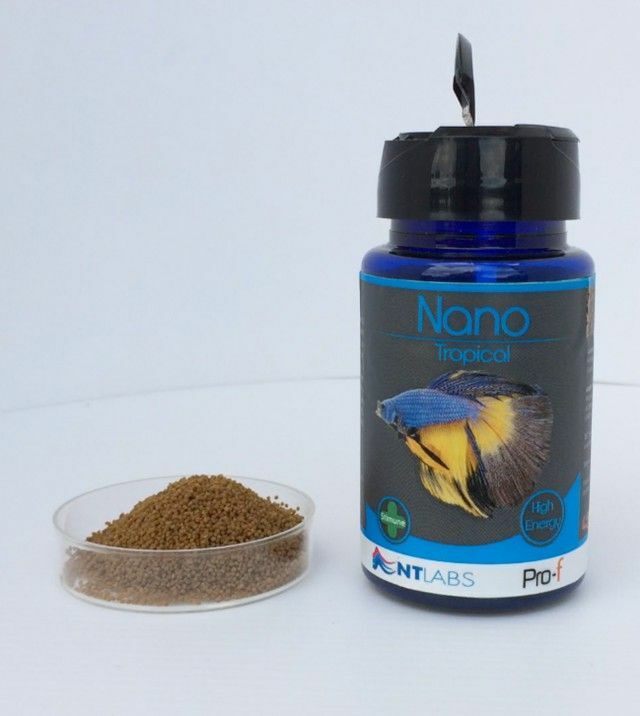 Nano Tropical Pellet is a true pellet that measures a tiny 0.8 mm in diameter; perfect for the smallest of aquarium fish such as sparkling gouramis, galaxy rasboras, Siamese fighting fish and Endler’s guppies. Nano Tropical Pellet is a highly palatable and easily digestible food to ensure minimal waste and improved water quality which is especially important in a small aquarium. 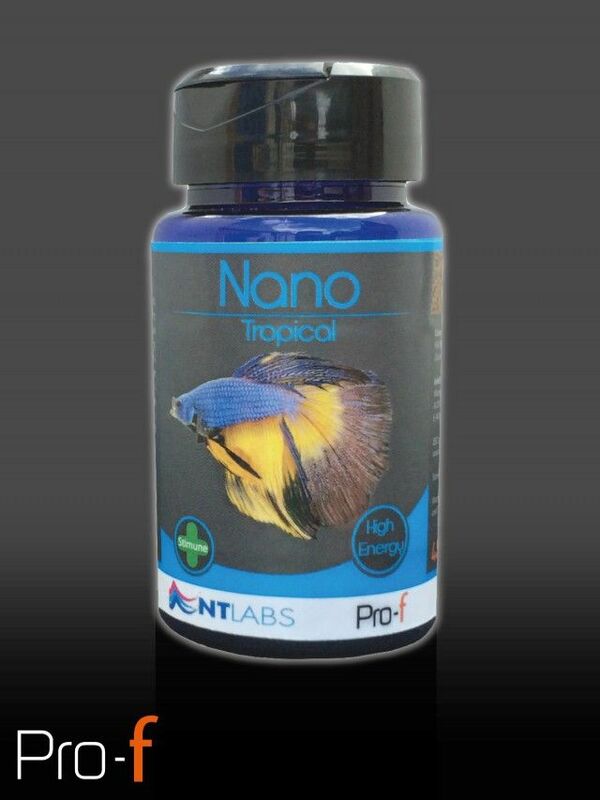 Nano Tropical Pellet boasts a stabilised multi-vitamin mix, colour-enhancing astaxanthin and Stimune to keep your fish looking their best and in top health. Fish Meal, Fish Oil, Wheat, Gluten. Protein 54%, Fat 18%, Ash 5%, Fibre 1%. Vitamins per kg: A 25000 IU, D3 2200 IU, E 400 mg, C (stable) 1000 mg.